Be the first to write a book review for One Timeless Day. Send it to Jeri now! "Definitely not the traditional take on the 'beneficent one-god pharaoh, Akhenaten.' He was anything but. Her personal revelations of being the daughter of the pharaoh and Nefertiti was fascinating. 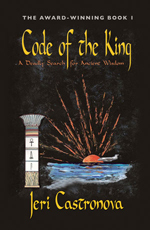 Brings a new awareness of the Exodus not happening with the Hebrews, but the Egyptians! How the Druids and Ireland are connected to ancient Egypt makes for a new look at history. Highly recommend this book." 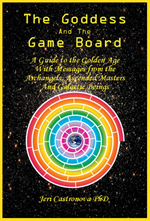 "A fascinating read on messages from the masters and archangels about the sacred game board and women claiming their power by ancient and modern techniques of ascending into their True Beings and becoming One with the Goddess." For anyone with a mythic soul, and there are millions of us today, this book is a gem. 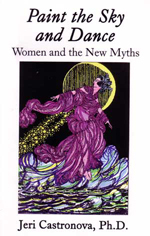 Though oriented towards the mythic journey of women, it is as meaningful and applicable to men, and we strongly recommend it to you. As a graduate of the Healing Light Center Church and an Ordained Minister, Jeri combines the teachings of the Church with her clinical psychology expertise to create a new way of thinking about myths, psychological development, and spiritual growth. I loved the book. We've been waiting for this book a long time. There is a need for gender balance, and Jeri shows how it can be done. This is an important and interesting book that I found fascinating reading. 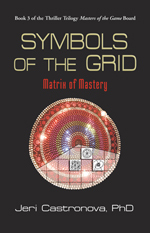 Fans of Jean Shinoda Bolen and Joseph Campbell will welcome this book. 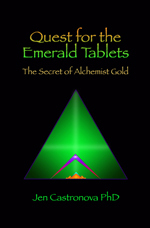 The author presents ways of creating personal myths that can open doors to new and hidden talents within us as well as heal us of many of the illnesses that are rooted in behavioral tendencies. I enjoyed the insights and original thoughts offered by the author. The book is beautifully written. A fascinating account of modern woman's journey toward fulfillment, told in a heroic fashion--a real page-turner.